As our overall population grows older so do some of the health and emotional problems that older people have to contend with. We all know the benefits of owning a pet. However, it is a fact that the benefits of owning a dog have been studied more than those of owning a cat. 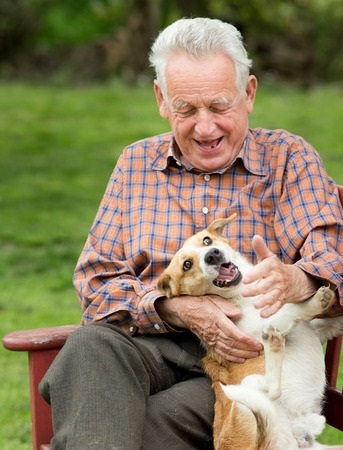 These studies have listed some of the surprising benefits of older people owning a dog. 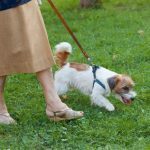 All of these benefits are reasons for older persons to own a dog. Adapt well to urban environments and apartment living. Adapt urban and apartment living. More and more people – especially women – 65+ are living alone. Most of those live in apartments or in urban areas. Small or toy breed dogs are very good at living in apartments because they usually require less exercise than larger dogs. Most small dogs only need a good daily walk. Small dogs cost less to own. A smaller dog requires less food than a larger breed; in some cases, a lot less. Even veterinary care usually is less expensive. For instance, spaying and neutering or any kind of surgery will cost less than it does for a larger breed dog. Smaller dogs live longer. It is not unusual for small breed dogs to live 12-15 years and even longer. This, of course, will vary from breed to breed and even between individual dogs within the same breed. Small dogs make great traveling companions. Small dogs can often fly in-cabin when traveling by plane. Flying a small dog also costs less than a larger dog that has to travel in the baggage compartment. Small dogs are usually enthusiastic travelers by car. Even if your dog gets car sick, there are natural and mainstream medications that help. More hotels allow small dogs than do those that allow larger breed dogs. Usually, the weight limit is between 20-30 pounds. Many retail stores now allow small dogs but will turn larger dogs away. There are even some restaurants that will allow small dogs, but not bigger ones. They are utterly devoted. Most toy breed dogs were bred for no other purpose than to be companions. Many small breed dogs are prone to bond with one owner. Chihuahuas for instance usually prefer one member of the family and are extremely loyal. Then there is the “cuteness” factor. It’s true that most small dogs are often more cute and adorable than their larger breed cousins. I know that large dog owners are going to disagree with me on that one. But, no matter how beautiful and loving a big dog is, it’s the “cuteness” factor that makes small and toy breed dogs more popular as companion dogs. The following is strictly my list of small dogs that I think are good choices for older people. The descriptions are from the AKC. If you are an older person considering getting a pet, a small breed dog would be the best choice. If you are considering adopting a small dog, a small senior dog would also be a very good fit for an older person. They are usually already trained and have mellowed out with age. 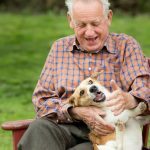 There are many senior dogs in shelters for various reasons and, contrary to popular belief, it is not because they are bad dogs. Please do research on each breed that you are considering and make sure that breed’s temperament would be a good fit for you. Take your time when choosing a dog as a companion and remember that it is a lifetime commitment. But, it is also one that will bring you a lifetime of joy and loyal companionship. Your story was incredible. 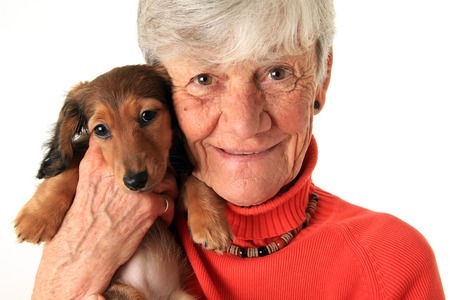 Animals are excellent company not only for people over 65, but their stuff got legal. It even gave me the idea to create something inspired here, in the Portuguese version for my blog.